We're thrilled to announce our newest subscription catered to our favorite way to document. Traveler’s Notebooks are a fresh way to record your memories, and our kits will be packed with our favorite notebook-friendly products and shipped directly to your doorstep each month! Capture the moments that matter. Our Traveler’s Notebook Kit streamlines your memory keeping process with a monthly shipment of beautiful and innovative products. All preorders will start with July's kit and your subscription perks will also start July 1st. For a limited time, current subscribers can preorder and get our lowest pricing with no commitment. Click here to preorder your Traveler's Notebook Kit today! 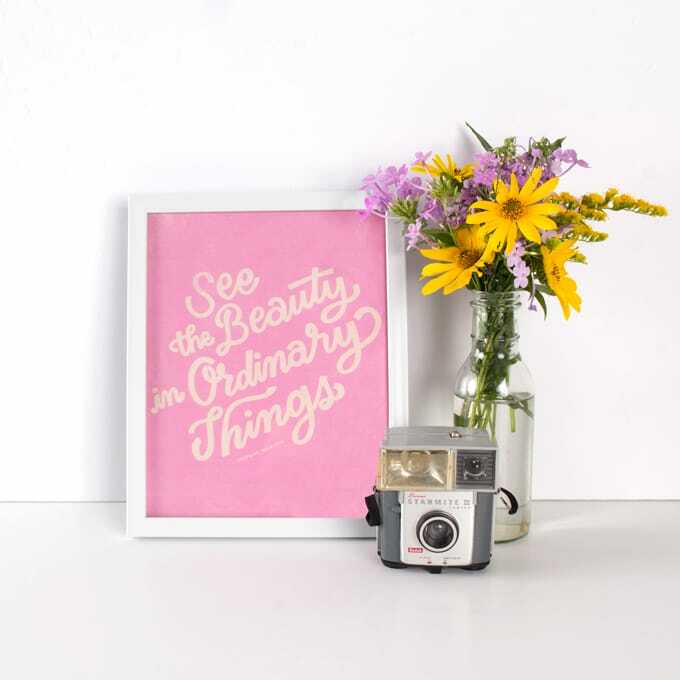 Start creating in this fun format at home or on the go! New kits are revealed on the 1st of each month. As a subscriber, you're invited to shop three hours early during a special presale at noon EST to see what's inside your kit and add more supplies to your box. Kits ship by the 10th of each month. Free domestic shipping and just $3 for international orders. Bundle up. Domestic subscribers receive free shipping on orders created between the 1st and the 5th of the month, and our Canadian and International subscribers will pay one fee for all orders during this time. This gives you the freedom to add a little something extra to your kit order, without worrying about an additional shipping charge. Skip a month. Don't need a kit this month? Simply take the month off. We understand that life gets busy. Enjoy extra discounts. 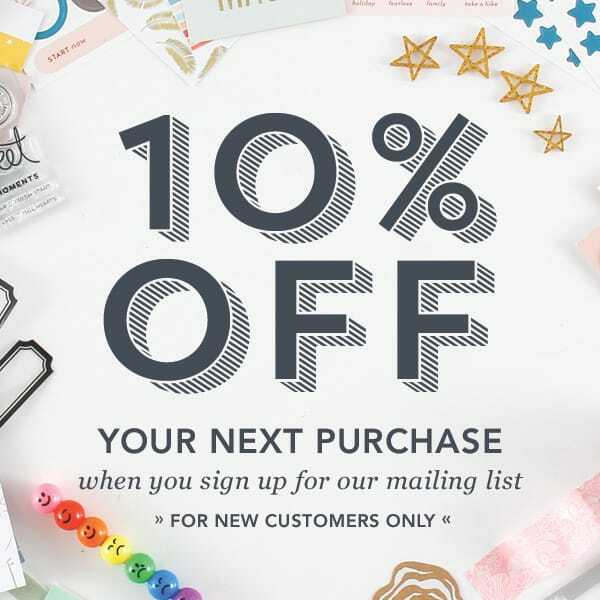 10% off online classes and 10% off digital items. Plus, special promotions and discounts are given periodically. Preview early. Can't wait until next month? Neither can we. See sneak peeks of upcoming kits beginning the 6th of each month. Traveler’s Notebook – A one-of-a-kind notebook with a mix of patterned, prompt, and grid interior pages, sized at 8.25” x 4.25”. Clear Stamp Set – Exclusive designs tailored for documenting in a notebook. Washi Tape – A true TN staple, and you can never have too much washi tape! Sticker Sheets – Each kit will have a mix of stickers—clear, labels, word strips, and fun shapes—to help highlight your memories. Die-Cuts/Extras – We’ll finish each kit off with a fun extra that’s notebook friendly, like transparency shapes or cardstock die-cuts. 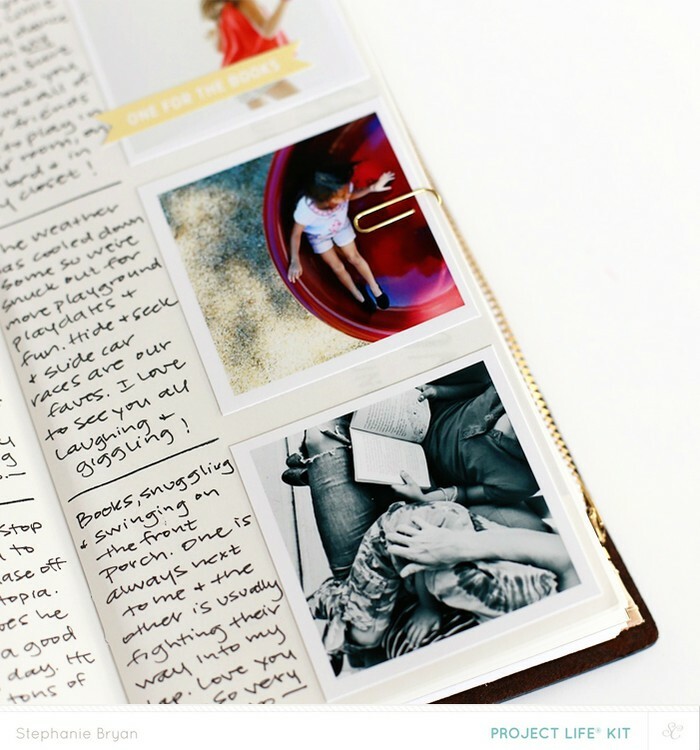 I am sold on documenting in my travelers notebooks. I am hoping to see a workshop too. Thank you! I love it, too. There will be a TN workshop each month. WooHoo! I love TN's- this is awesome news SC! I have signed up for this kit. I am just in shock that the Scrapbook Kit will be its last June 2018. I am going to miss my cardstock and 12 x 12 printed papers! Kind of sad, really. I hope @MarieL moves from the planner kits to the TN kit CT! What’s the weight of the interior pages/papers used for the TN? I need more information regards this kit. What do I do every month with a TN ? Give me some examples please. If I want to record my son´s birthday party and then I travel somewhere... I need two TN? How can I show my kids later in life about their experiences? In a notebook? I really don't get the idea of eliminate scrapbook and then have everything in a notebook. There are lots of good options! You can do it monthly - document in one TN everything that happens that month, - or by theme - so have multiple TNs: one for travel, one for special occasions (parties, etc. ), one for little everyday things, etc.. I have a TN for weekly documentation, and I am working on a dedicated spring/summer TN because I like to document things chronologically as they happen; I do separate TNs for travel. 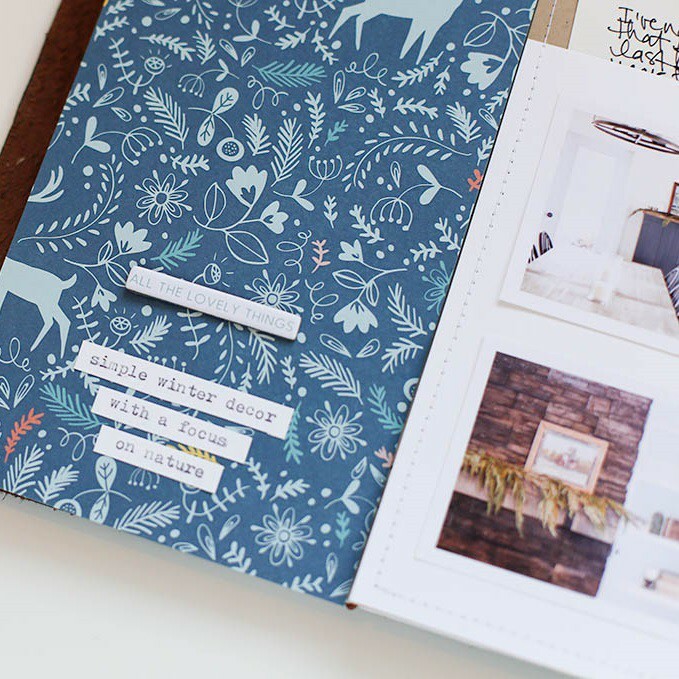 It is not the end of traditional scrapbooking. For me the TN is just another mini book. I make 12 x12 scrapbook layouts and mini books. I'm loving the sneaks I've seen so far. I love that the notebook is already made with a mix of pretty papers! I love these kinds of paper crafts. It's really interesting to see and try when you are free. Awesome! Oh well! I guess this is goodbye. You’ve deleted the forum and the scrapbook kit. I no longer have a reason to visit this site. It was fun. I'm intrigued by the idea of TNs, but have yet to get on the bandwagon because it seems like you have to print photos at teeny, tiny sizes. My at-home photo printer only does 4x6 or 3x5. Can someone tell me how you handle printing photos for TNs? I am excited about giving TN scrapbooking a try. I have been a scrapbooker for well over 13 years. I've tried 12x12 scrapbooking, 12x12 Pl, and 9x12 PL. It is time for a change and I think it will put a bit of magic back into my creative flow. 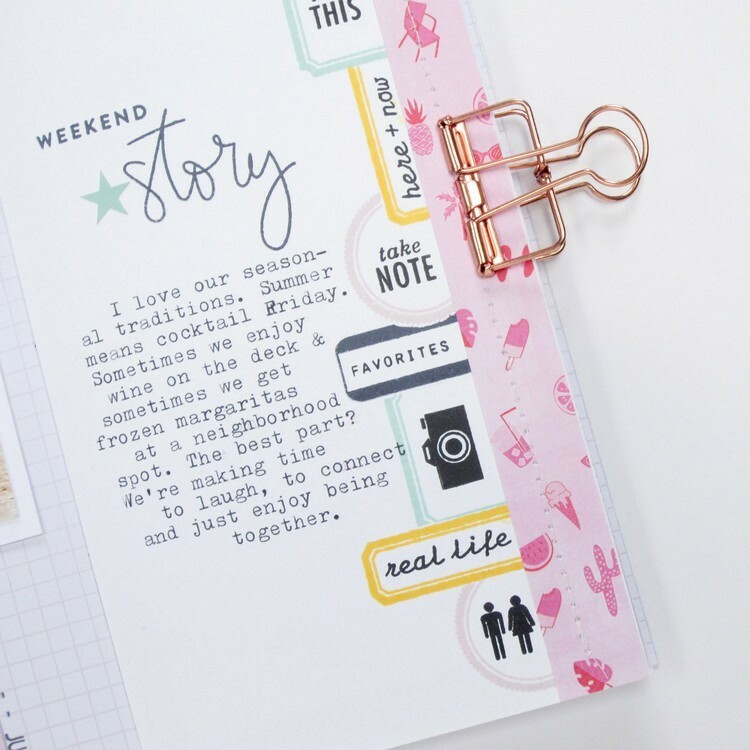 Your post is quite enough perfect for little kids because mostly students spend their summer vacations in home and start doing work in their scrapbook because little kids like drawing, https://www.gulflogodesign.ae/ they also deals in traditional scrapbooking in cheap rates.